It’s a delight to travel off the beaten track to remote locations, but when you’re towing a heavy caravan, travelling in the outback becomes a little trickier. Before you head off, it’s important that you have the right gear, the right knowledge, and the right plan and expectations to keep you, your vehicle and your van safe. 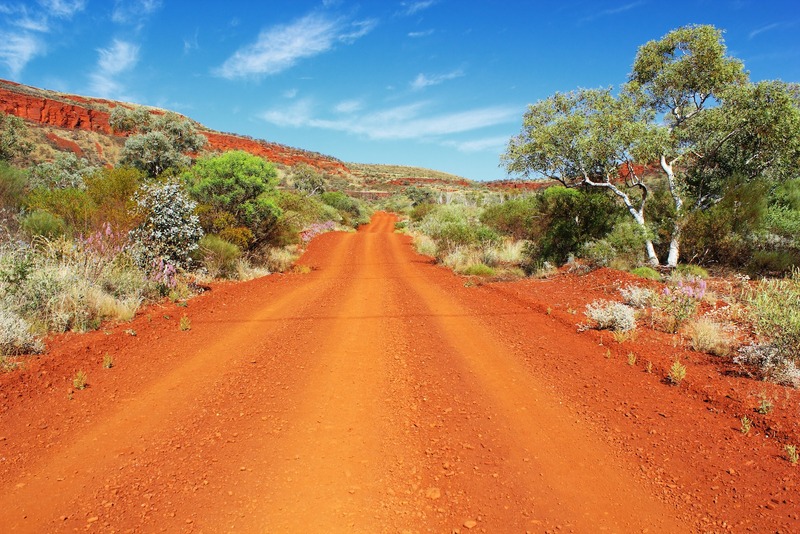 Before any caravanning trip, especially one that takes you to remote outback locations, the obvious thing you need to consider is the suitability of your vehicle and caravan for certain roads and conditions. Just as it is potentially disastrous to take a two-wheel drive out on a rough outback track, it’s also unwise to take your caravan out on tracks that will be rough on the axles, tyres and suspension. If you’re unsure about your caravan’s limitations, check in with your manufacturer or caravan dealer for their advice on whether that three-month trip in the Kimberley is going to end in disaster for your caravan. 2. Your vehicle is vital – look after it! Get your vehicle serviced before you head out on your outback adventure, and once you’ve hit the road, complete regular checks of motor oil and radiator coolant levels, and check for leaks and wear, particularly as there will be extra strain on your vehicle. After each day’s travel, check that your tyre pressure is correct to ensure that your journey is safe and efficient. Take spare parts with you on your travels, and become confident with completing basic repairs and tyre changes. When caravanning in the Australian outback, having up-to-date knowledge of the environment and road conditions is crucial. Once you know where you can and can’t get to, not only does this make planning easier, it also means that you won’t find yourself hundreds of kilometres down a rough track with broken axles. It might be tempting to take the risk, but you could permanently damage your caravan. Corrugation, large potholes, rocky tracks, overhanging branches and sharp stones can all do a lot of damage to your vehicle and caravan, so it’s important to know what you’re in for and prepare accordingly. Severe weather can transform majestic outback landscapes with astounding speed and power. During the wet season, downpours of monsoonal rain can completely wash away tracks and make some roads completely impassable. What is normally a dry riverbed can become a raging torrent once the monsoon sets in. If you’ve crossed a river and need to return by the same road, make sure you don’t get stuck on one side for a lot longer than you originally bargained for. When you head off the beaten track, the chances of things going awry increase significantly; you need to make sure you can get in and out of locations with plenty of supplies. Make sure you take fuel for 400–500 kilometres of travel. Bring plenty of water in storage containers, and enough food to last you for at least one week if you are travelling away from shops and services. Long life food is the best way to go, especially if you don’t have a fridge in your van, or if your access to power will be limited. Even if your caravan is built for off-road conditions, there’s no way to avoid a bumpy journey when driving over corrugated and rough roads. If your gear is not secured in the caravan, there’s every chance that you’ll end up with some breakages. Check that food is stored properly in sturdy containers, catches on cupboard doors are clicked shut, liquids have secure lids, the TV is securely folded in and attached to the wall, and any loose items on the table or benches are packed away.